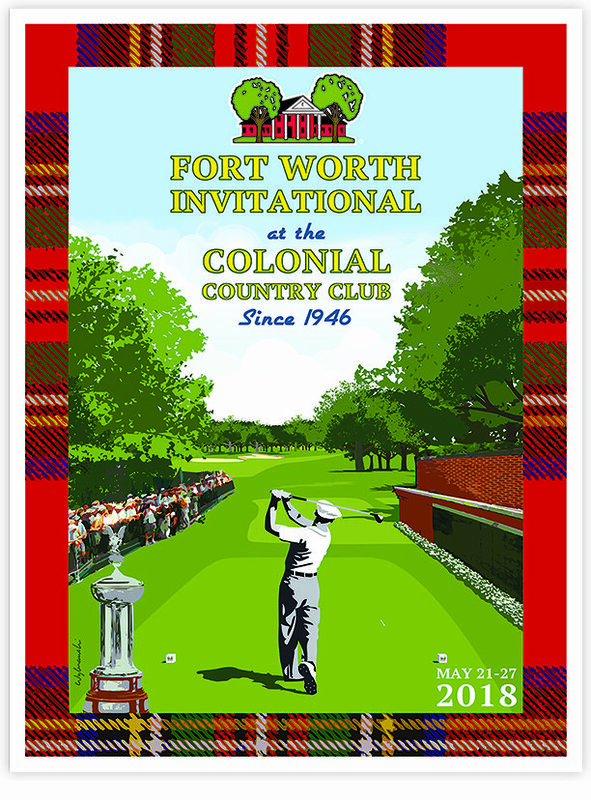 The second half of Lee’s Texas Two-Step this spring is artwork for the 72nd Fort Worth Invitational, held since 1946 at the shotmakers’ favorite Colonial Country Club. This is the 2nd oldest event on Tour and was won a record 5 times by Fort Worth’s own Ben Hogan. Lee’s artwork celebrates the remarkable history and bright future of the event at Colonial, which has just finalized a four year sponsorship agreement with Charles Schwab, framed with a touch of the club’s famous Tartan.